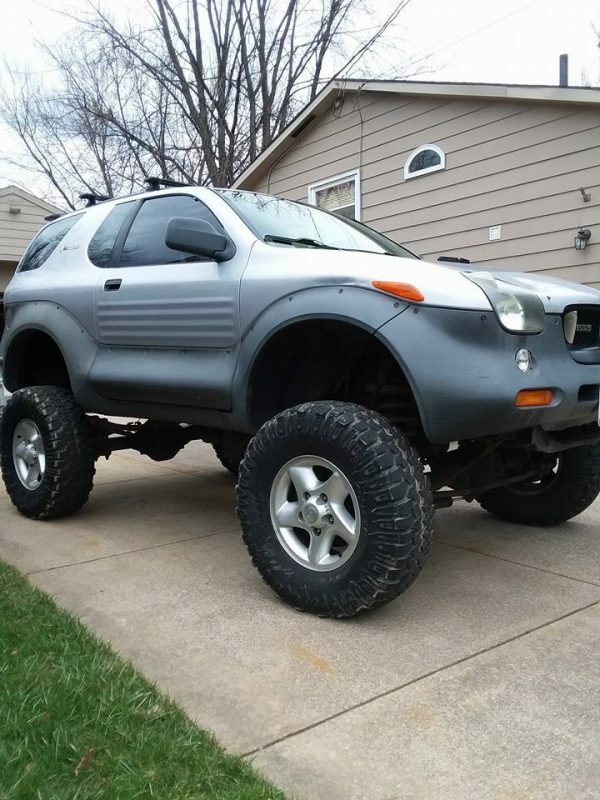 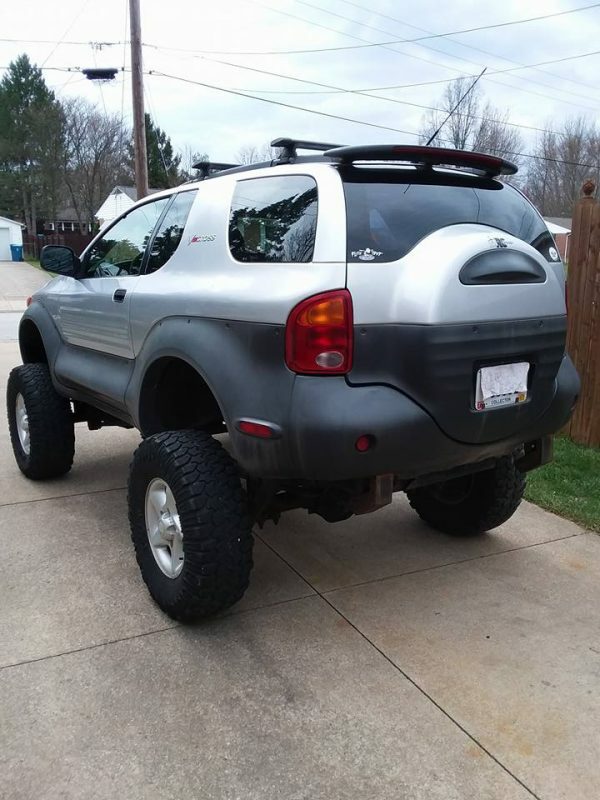 This 1999 Isuzu VehiCROSS 4WD is for sale on FB Marketplace in Munroe Falls, Ohio with an asking price of $10,495. 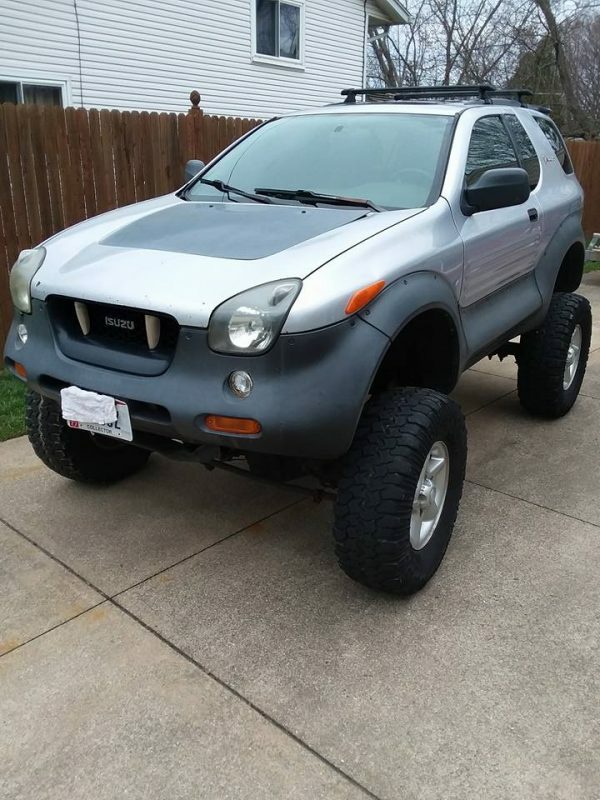 These unique vehicles came from the factory with either a 3.2 L or 3.5 L V6 and a 4WD TOD “torque on demand” system. 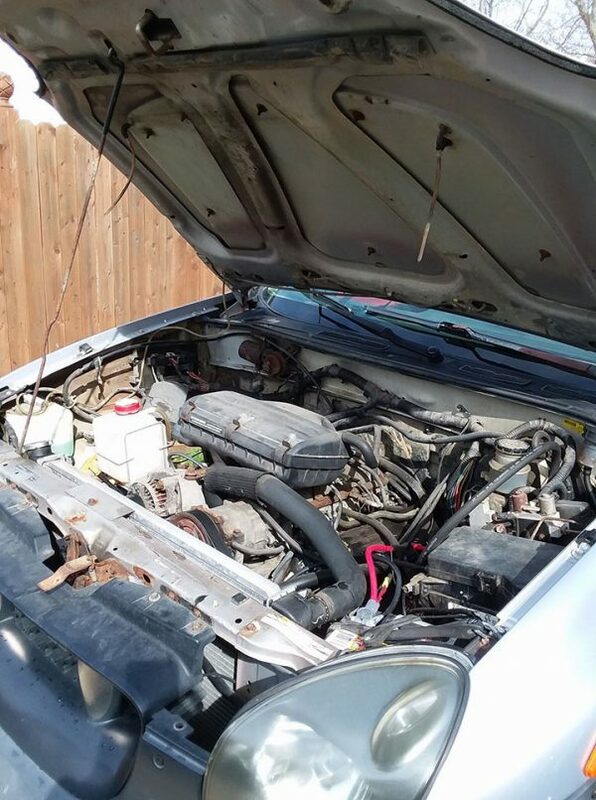 However someone replaced the factory powertrain with a Dodge 360 ci (5.9 L) V8 and full-width axles. 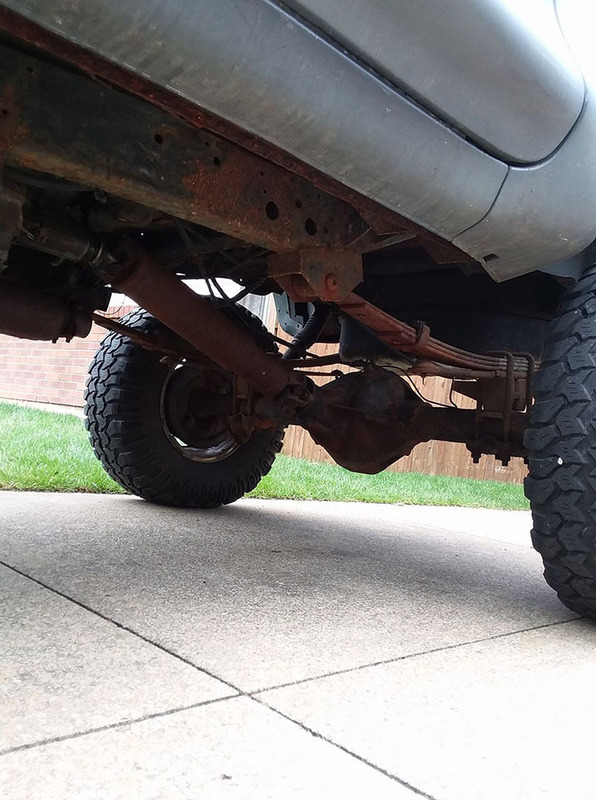 The axles and rear leaf springs ride under the factory chassis.